If you’re depressed, there’s a good chance antidepressants and talk therapy will give your life new meaning. But when your depression is severe, these methods may not be enough. By some estimates, depression strikes 6.7 percent of U.S. adults — over 16 million people — at any given time. Up to 17 percent of those living in the United States will experience depression during their lifetime. The incidence in women is nearly twice as high as in men. In major depression, people have little interest or pleasure in life for two weeks or longer. They may struggle to sleep, eat, find energy and concentrate. Their self-image suffers. Thoughts of death or suicide are common. “Severe depression is a significant problem for adults over 55, impairing job performance and daily life,” notes Dr. Havemann. But its incidence is highest — 11 percent — for 18-to-25-year-olds. “Suicide is the second leading cause of death for young adults,” he says. “In contrast, 60 to 80 percent of patients respond meaningfully to ECT,” says Dr. Havemann. And because antidepressants take three to four weeks to kick in, ECT works faster. Moreover, older patients can often tolerate ECT better than medications. That’s because their risk of complications from antidepressant side effects is greater due to interactions with medication they already take for chronic conditions. ECT induces a seizure like the ‘grand mal’ seizure of epilepsy. “We don’t understand why the seizure improves the underlying psychiatric illness. But we do know that without the seizure, ECT is not effective,” says Dr. Havemann. 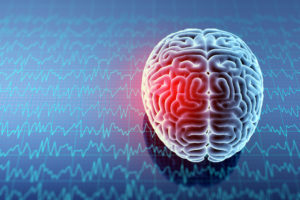 Scientists theorize that, among other explanations, it may be the seizure itself or the brain’s act of shutting off the seizure that brings about improvement. IV general anesthesia and a muscle relaxant put patients to sleep and prevent the vast majority of muscles from contracting. For 2 to 8 seconds, electrical current passes through electrodes placed on the head. A 30- to 90-second seizure occurs, moving from one side of the brain to the other (depending on where the electrodes are positioned). A few muscles, like those in the jaw, contract (thus the need to wear a “bite block”). 20 to 40 minutes are spent recovering. Patients usually need eight to 12 sessions, typically over three to four weeks. Far less electricity is used in ECT today, thanks to sophisticated computer algorithms and improved delivery methods. Placing electrodes only over the right side of the brain (right unilateral treatment) reduces the risk of many cognitive issues. That’s because the left side generally controls language and memory. Placing electrodes over both sides of the brain tends to speed response but may not be more effective in the long run. “Right unilateral treatment may significantly reduce or even eliminate the risk of cognitive side effects,” he notes. Certain medical conditions — such as heart failure, atrial fibrillation, high blood pressure, or a brain aneurysm or mass — may rule out ECT. If your doctors think ECT will help you, don’t let the old stigma associated with “shock therapy” stop you. Discuss it with your psychiatrist, who can refer you to a center that offers it. “You may find that ECT is easier to tolerate and more effective than any treatments you’ve tried or are considering,” says Dr. Havemann.